A 1031-TIC is an investment vehicle that gives the investor the best of both worlds―—the full disclosure of a security and the traditional tax benefits of real estate. A TIC arrangement involving multiple investors is a security―—at least the Securities and Exchange Commission seems to think so. In a No-Action Letter released in August 2000, the staff of the S.E.C. ruled that although these fractional interests are not considered a security for federal income tax purposes, the interests meet the definition of a security under the federal securities laws. The S.E.C. disagreed with the position taken by a leading sponsor of 1031-TIC syndications that the interests being offered were not securities. The staff advised that "it was unable to ensure that it would not recommend enforcement action unless the offer and sale of the real estate interests were registered under the 1933 Act or were exempt from registration." This requires sponsors of these syndications to prepare a full-blown private placement memorandum (PPM) for each offering. Therefore, given the uncertainties in today's stock market, the historical soundness of real estate, the full disclosure benefits of a private placement memorandum, the potentially higher annualized cash flow return, the tax shelter created from depreciation, and the tax deferred exchange into and out of the investment, we believe a tenants-in-common ownership is a viable option for those contemplating retirement, as well as for those growing an investment portfolio with diversification. TIC investment eliminates the headaches and time-consuming burdens of active property management. This is the perfect solution for those with rental properties who wish to retire from the daily burdens and liabilities that come with being a landlord. The TIC program is also perfect for professionals who are dedicated to their career but who also desire to build a well-diversified real estate portfolio with current income and strong appreciation potential. Through the 1031 exchange process, the portfolio can grow tax-deferred through the course of the investor's career, similar to investments in a qualified pension plan. TIC properties typically enjoy cash-on-cash returns paid on a monthly basis. The cash flow can be paid monthly or quarterly and is tax-sheltered due to depreciation pass-through and interest deductions (typically 50% to 60% of the net income is sheltered from federal and state income tax). Investors also participate in the appreciation of the property when sold. Upon inheritance, the deferred tax liability resulting from one or more Section 1031 exchanges is eliminated, since the heirs get a stepped-up basis in the inherited property. For an investor that has held a real estate property for so long that the depreciation deductions have either run out or will be soon, a §1031 exchange offers the opportunity to restore these deductions through a replacement property. In fact, because tenants-in-common properties are often leveraged with 50% to 75% non recourse debt financing, the investor's basis is often increased in the replacement property and depreciation deductions are higher than with the relinquished property. A 1031- TIC syndication also presents the opportunity for an individual to join together with other high-net-worth investors to own institutional-quality real estate that none of the investors could own individually. Minimum equity requirements as low as $100,000 allow the investor access to high-quality, institutional-grade properties with large, financially secure, often publicly traded, credit-worthy tenants with long-term triple net leases, providing secure cash flow income for the life of the investment. The investor enjoys the service of large national professional real estate management companies that structure the TIC property acquisition (i.e. identify and locate, evaluate, arrange financing, etc. ), manage the property (i.e. maintain, lease, collect rent, service mortgage), and eventually sell the TIC properties. These management companies have a vested interest in the performance of the property and have excellent historical track records with many other properties. A 1031-TIC syndication also represents an easier §1031 exchange transaction. 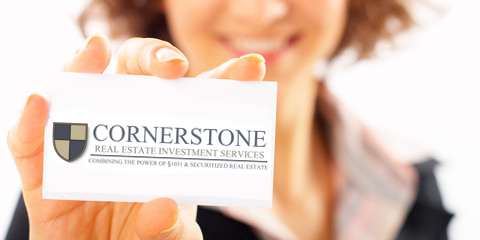 Instead of running ragged trying to identify and close the purchase of a replacement property within the strict time parameters set forth by the IRS (45-day identification period, acquire within 180 days), an investor can pick and choose from the numerous 1031- TIC syndications available, all of which come with pre-arranged financing. The ability to keep the earning power of the money that otherwise would have been taxed away working in another investment is a key benefit of these transactions.